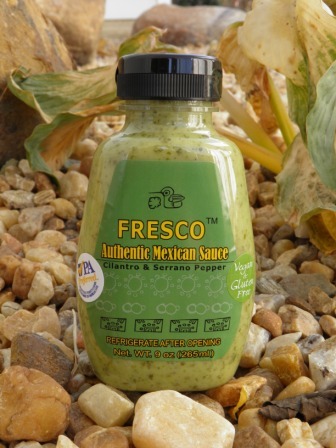 REVIEW: Fresco the Authentic Mexican Sauce – I Love It Spicy! Educating your mind and tastebuds, one spicy bite at a time! I like to think of this sauce as the Sister of Guapo. If you remember all the videos I did with Guapo, also an authentic Mexican Sauce, you will remember that I took it on the road with me to a bunch of states- DE, NJ, NY, OH and LA. I tried it along with other people, including my Parents with a lot, and I mean a lot of different products. It seemed to be a garlic sauce that went with just about anything, including dessert. Yes, it did. 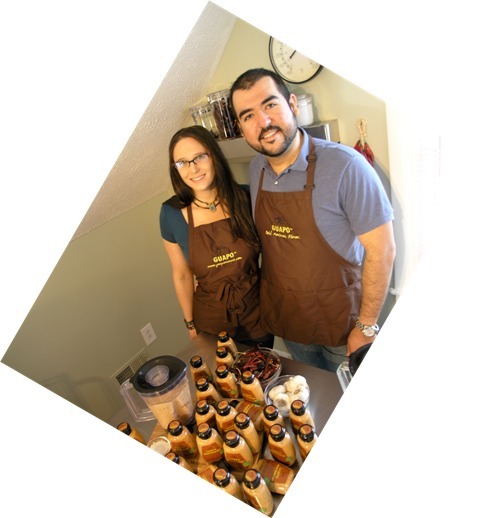 So when I was contacted by the good people of Guapo, I was delighted to hear they had 2 new products to have us review. I made the guacamole for a party a couple of nights later and everyone ate it up. Its all gone now. Thank you Joanne and Luis for your input. I love Mexican food, so it was a pairing I wanted to try. I will give it ago on some shrimps or crab next. I thought because of the mayo like quality and delicate balance it might be good on a turkey sandwich/pita/wrap. That’s great!! Fresco really does go well with veggies and dips- Glad that you enjoy it with Guac. Fresco has all the traditional ingredients for a great guacamole starter… 🙂 Glad it worked! I will have to check this out. I love the flavor of cilantro and serranos. Hopefully they have this at the Whole Foods near me. I’d LOVE to try this…wish I didn’t have to buy 1/2 case. I agree. For those that might not have a store like Whole Foods around, buying a half case seems a little outlandish. Yeah, thanks for clearing that up. I am not an authority on Mexican sauces but I do know that the food of Mexico varies greatly from one region to the next, and I’ve never seen anything like it here. Granted this is New Mexico, but you cant deny the influence. Even though I didnt like it straight, its all gone. Does St. Louis fall within the Mid-Atlantic area that you speak of? No, it ends at the Louisville store. It is the farthest West store in the Mid-Atlantic region. I love serrano peppers, my wife loves cilantro….might have to give this a try. Bummer. I guess I will pass on this until I venture east later on this year. I don’t really think people should have to buy a half case or sampler pack. Ryan, let me just say that with no shipping, I think the 3 sauces are well worth the $20 purchase, as you will see in the next review for the Bravo. 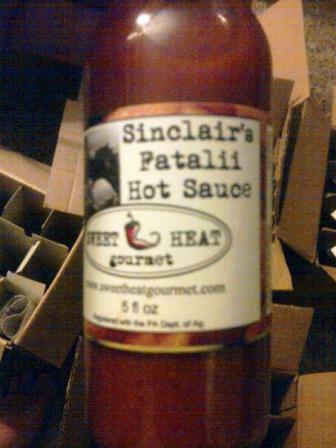 If you come to Peppers at the Beach with Scott, I will bring a bottle of each for you to try. I most likely won’t be coming to PATB this year. We all know the situation I’m in. Just bad timing, I guess. But, I thought about it and I will most likely buy the sample pack. The worst thing that could happen is that I don’t like them. The only thing that I have concern is what if I only like one of the three. I am not going to buy a half case of one sauce. I think they should have the option to buy a single bottle with added shipping. Just sayin’. I understand. Did you ever see the Guapo videos? You might get a smile at watching them see all the food we tried the sauce out on. Just click on Guapo from the top paragraph. You wouldn’t want to try just one is all I am saying. Yeah, I watched them. The ice cream sandwich was a daring feat to take on and I kinda got hungry when you all were eating it on some Deano’s. haha. I really liked watching your parents try it, as well. Join in on our monthly off-topic discussion! Copyright © 2019 I Love It Spicy!. All rights reserved.